Flintshire-based house builder Redrow said on Wednesday its revenue rose 9% to a first half record of £970 million and first half pre-tax profit rose 5% to a record £185 million in the six months to December 31, 2018. 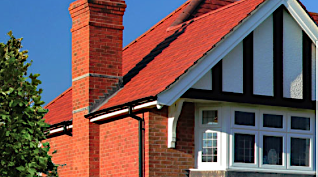 Redrow said legal completions rose 12% to 2,970 and total order book was up 11% to a record £1.162 billion. “As a result of our continuing strong earnings and cash performance, we are proposing a 30p per share cash return to shareholders through a B Share Scheme, in addition to a 10p per share interim dividend. “This scheme enables all shareholders to participate equally in proportion to their holdings and should be treated as capital for most UK tax resident shareholders. “The market during the run up to the festive period and the first two weeks of 2019 was subdued by macroeconomic and political uncertainty. “However, sales over the last three weeks have bounced-back with reservations running at similar levels to last year’s strong market activity. “Overall, private sales for the first 5 weeks of 2019 were £156m (2018: £166m). “Nevertheless given our record £1.2 billion order book, our strategy remains on track giving me every confidence that this will be another year of significant progress for Redrow. “It is nearly 45 years since I founded Redrow and when I step down as chairman next month it will be exactly 10 years since I returned to the business. “I am proud of the legacy I leave behind having completed over 6,000 homes for the first time in 2018 and handed over our 100,000th Redrow home last October. “Redrow has a very strong team, an excellent balance sheet and the Heritage Collection product which I believe is the best in the industry.